South Korean mobile carrier LG Uplus and Huawei collaborated together to launch the world’s first Uplink 2 CC CA Technology on a commercial network. UL 2CC CA, a main aspect of Huawei’s cutting edge technology in its first commercial LTE-Advanced Pro version eRAN11.1, will give users vastly an uplink data rate of up to 108 Mbps, meaning faster upload of data on mobile devices. 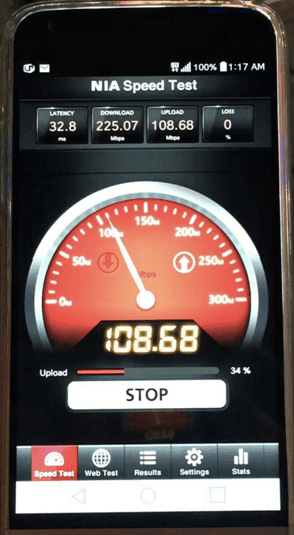 LG UPlus conducted a series of tests on live networks and launched UL 2CC CA technology in step with smartphones supporting uplink carrier aggregation (UL CA). By aggregating an uplink carrier with a 20 MHz bandwidth in the 2.6GHz band and another uplink carrier with a 10 MHz bandwidth in the 850MHz band, LG Uplus and Huawei were able to achieve uplink data rate of up to 108 Mbps on live networks. UL CA combines multiple LTE carriers to give larger bandwidths for improved uplink data transmission rates. This technology will meet the growing demand of HD video and photo sharing. LG Uplus is working with Huawei on the world’s first commercial deployment of LTE-Advanced Pro based on eRAN11.1. With the large-scale release of commercial devices supporting UL 2CC CA, LG Uplus is the world’s first cellular carrier to deploy this technology for commercial use. LG Uplus is also conducting joint testing of 256QAM to improve downlink data rate. amazing! We need a good uplink speed on 4g as the uplink is always ignored.